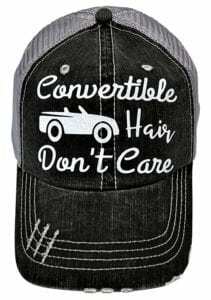 One thing’s for sure… when you’ve got a Jeep (or a motorcycle, ATV, or convertible) and you ride with the top down a lot, you end up with some pretty strange-looking hairstyles! Jeep hair, as they call it. 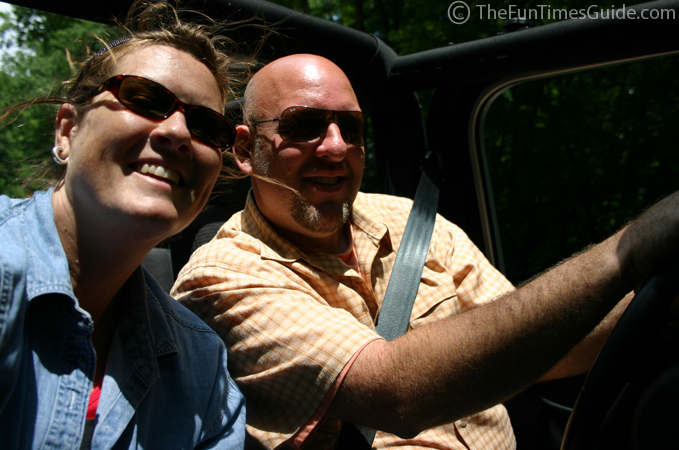 The following products will help your hair look wind-BLOWN, not wiped OUT, after riding with the top down. See my tips for dealing with biker hair & motorcycle helmet hair. Ken Paves, is one of the most sought-after hair stylists in the world, known for working with clients such as Jessica Simpson and Jennifer Lopez, to name a few. The “hairstylist to the stars” has an entire line of PAVES professional hair products. A 10 oz. bottle of this convertible proof hair spray is less than $12. 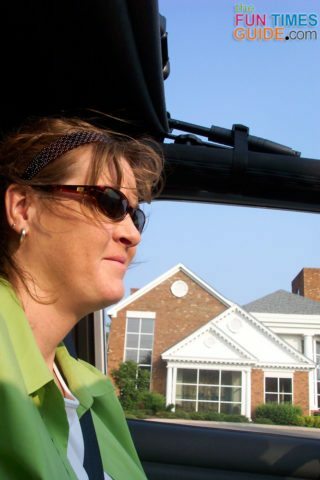 Take the top down, go for a spin and arrive in perfectly placed nourished high-sheen style that resists humidity and won’t move unless you want it to. Our fine spray formula contains significant concentrating of treatment ingredients: A strengthening complex of proteins and polymers to add elasticity and shine, protecting fragile hair form over-styling and over-processing. Roman Chamomile Oil to soothe dry, irritated scalp. Scented with nourishing essential oils, NO damaging synthetic fragrances. Cruelty-free. Allergy tested. Gel-mousse products (like Redken Stay High Gel To Mousse) combine the benefits of both gel and mousse into one formula — great for extra hold and reshaping. When you don’t know what your day is going to be like, and you just don’t care… these fun hats are perfect. 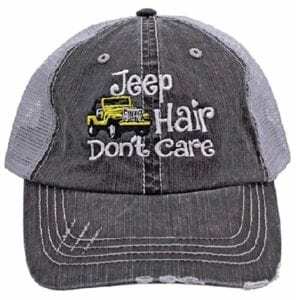 Jeep Hair Don’t Care says it all! Consider applying a good leave-in conditioner with sunscreen (like Sun Bum leave-in conditioner) while tanning, playing outdoors, or riding in a convertible. The sun’s heat will activate the conditioner — which will prevent UV rays from damaging your hair and causing color fade. 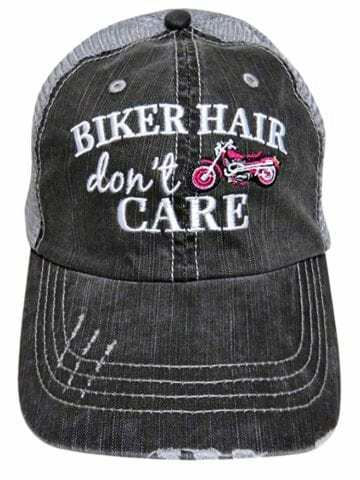 Here’s a product that not only prevents tangles after long rides on a motorcycle or in a convertible, but also guards your hair from wind damage and breakage. It even repels dirt and dust! The Wind Therapy shielding detangler even protects you from “Hat Head”… helping to restore the natural look of your hair after removing your motorcycle/ATV helmet or baseball cap. 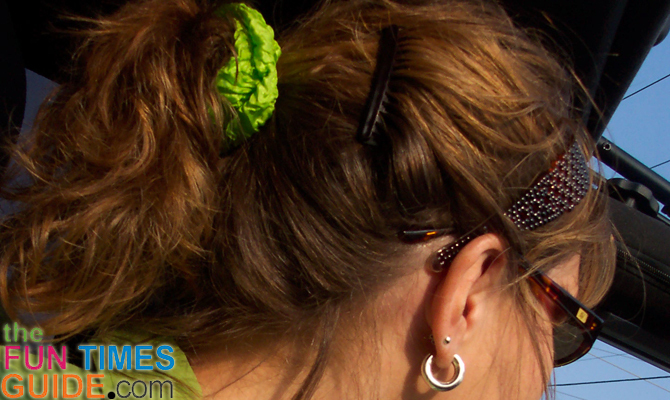 In addition to side combs and headbands, these snag-free elastics and ponytail holders are a necessity for long Jeep hair. While some of us try to tame the windblown look, some people try for that look all on their own — with help of a little hair gel or other styling products.